What my friends are doing? They all are doing some interesting things. Their creative juices are flowing in all directions. Prithvi has launched his new cartoon series site called Making Masti. The first cartoon is online. And it is really funny. The theme of the page is too good (powered by Bangada Masala Fry). Go have fun. Then Swaroop and his friends have launched a new product called ion. 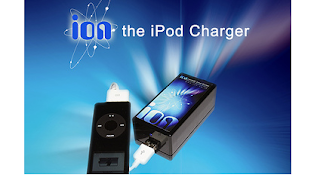 ion is a usb ipod charger. It just costs you Rs.399. That’s dead cheap compared to Apples 2k charger. Now you can charge your ipod independent of your computer. Go buy one for yourself. The best way to force your friend into blogging is to setup a blog for him. I got a domain for Mathang for his blog. Its a wordpress.com blog using custom domain. I did all the buying first time from my mobile. Opera Mini rocks. I hope he will start blogging once he loses his day job. I have many other friends in my mind who are supposed to blog. Probably I will buy all of them a domain. One per month way.